Living in harmony with nature, man’s role in conservation and the concept of sustainability and home were just some of the themes explored in the pieces created for the collection. BenCab’s “Kapit-Bisig” and Borlongan’s “Wildlife Rehabilitator” highlight the importance of man living in consonance with nature. Justiniani’s “Kugos” (Carry) presents a caretaker donning a suit in the panda’s likeness to care for and protect the orphans of the species. 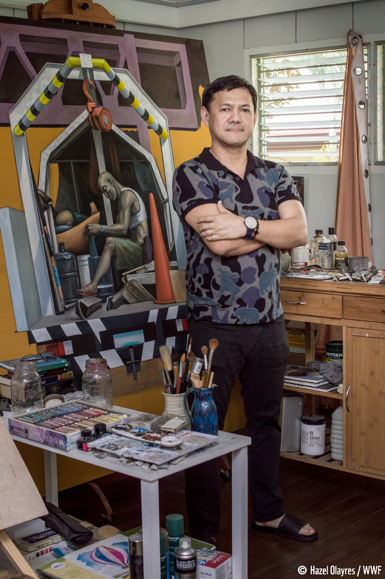 Santos’ idea of saving and salvaging materials through his art is reflected in his piece titled “Natural Selection” while Javier’s work entitled “Home” is inspired by her community in the province, stressing the importance of a sustainable environment. 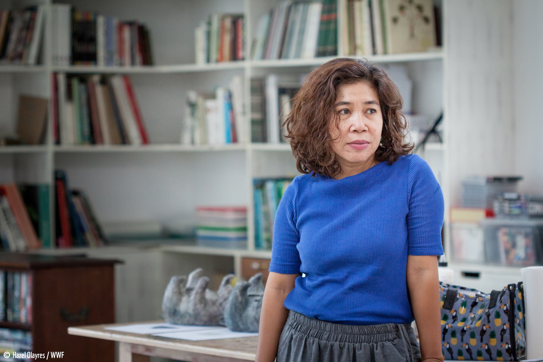 Though they had different approaches in creating their pieces for the collection, WWF’s Art Ambassadors are united in their call for people to save the environment. Borlongan shared that his particular concern is the destruction of our oceans. 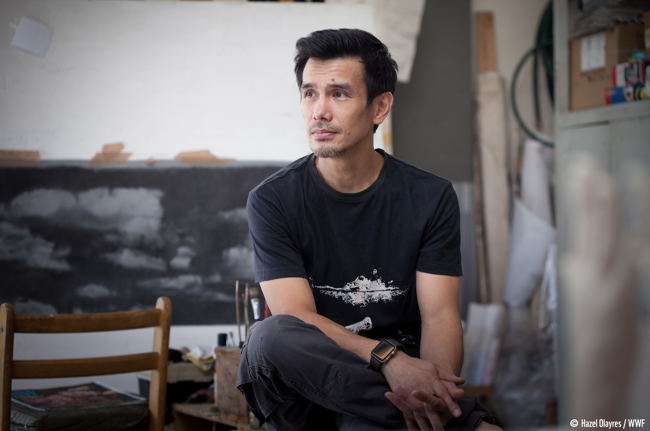 Living 10 minutes away from the West Philippine Sea, he has been a witness to how acts like dynamite fishing can harm both the environment and fisherfolk who have lost limbs due to this practice; and has already created art pieces tackling this issue. “We have to have discipline in cleaning up our surroundings and planting trees,” said BenCab. 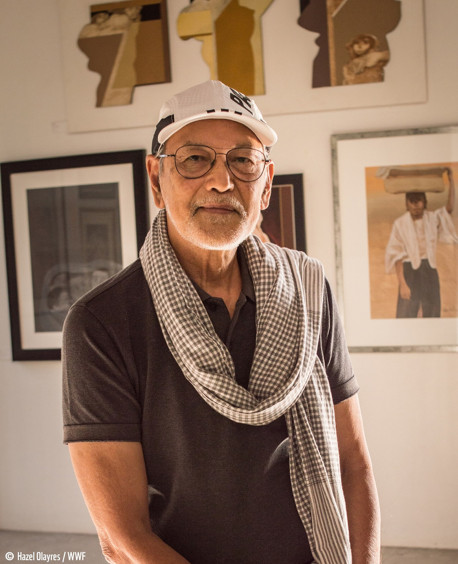 He shared that among one of his contributions is in his museum in Baguio, where he has planted many indigenous trees in the area. Meanwhile, Javier has started planting vegetables in her home to help provide food and additional income for the community living near her. She also tries to instill practices in her household that will lessen plastic consumption such as bringing reusable containers, baskets or eco-bags when she goes shopping or does her groceries at the market. Santos shared that he sees parallels in his work and that of WWF-Philippines. He makes his pieces from discarded materials turning them into something that is meaningful. “I view this process as saving and salvaging these materials from their eventual death or uselessness. And this is where I see a certain parallel with the concerns of WWF in saving nature, saving wildlife, and saving the world as a more general concern,” he shared. 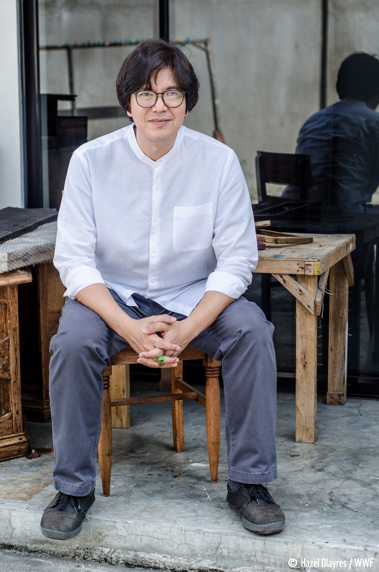 At the end of it all, WWF-Philippines’ Art Ambassadors hope that their pieces provoke questions and discourse among viewers on environmental issues. 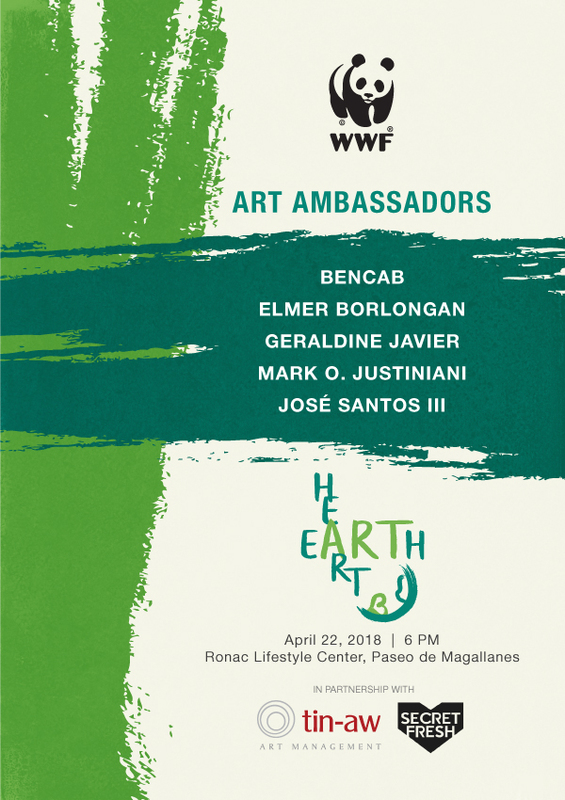 The WWF-Philippines Art Ambassadors’ exhibition opens to the public on April 24 and runs until May 6, at Ronac Lifestyle Center, Magallanes. To know more about WWF-Philippines and the “Art, Heart, Earth” project, you may visit https://www.facebook.com/WWF.Philippines/.